Please read yesterday’s blog to find out from Part I what question my university students answered to help entice foreigners to come visit Almaty, Kazakhstan. Yelena – I love Almaty. Actually I have travelled a lot, I have been in different countries, but I’m always happy coming back, you know why? Because Almaty is a very warm city, I do not mean weather, I mean atmosphere, streets, people and so on. Then, I think that Almaty is that kind of city that you want to see: somebody may say Almaty is a clubbing city, somebody else says it’s a very romantic place. So Almaty will be such a city that you want it to be. Laura K. – Almaty is a great place to visit because we have one of the most beautiful mountains in the world! In summertime we can go hiking and do picnics in the mountains. During the wintertime we ski and skate at Medeu skating rink. There are many nice restaurants and night clubs in Almaty. Our traditional cuisine is very rich and tasty. Aiperi E. – Almaty is the perfect place to visit, especially in spring, when everywhere is flowering. Almaty is the place where history and modern life are mixed. 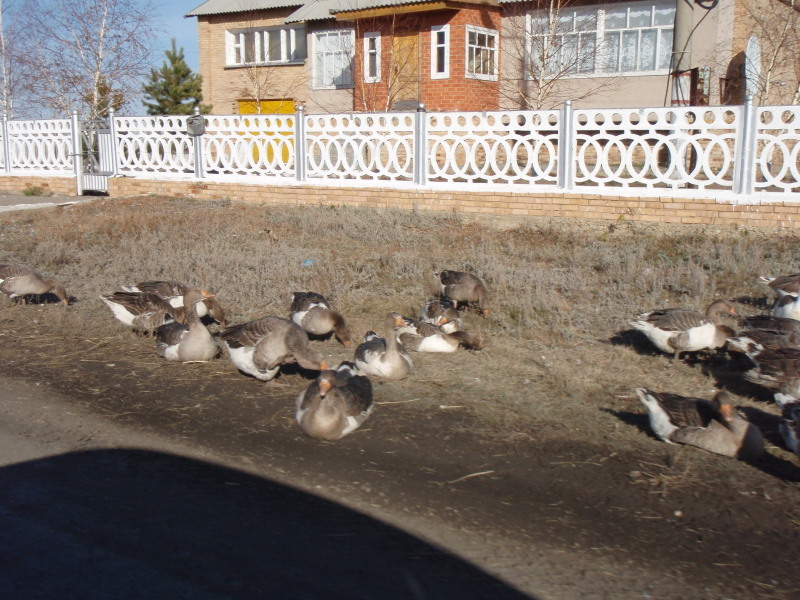 The countryside of Almaty is very beautiful too, especially nature. Come and visit Almaty. Rakhat – Even though Almaty isn’t a capital anymore, it’s still prospering. It remains cultural, historical and financial centre of Kazakhstan. Some major cultural events are held here in Almaty. I love Almaty for its green streets, kind and very friendly people. Almaty is the mix of the city with its rich historical past but a city more like a modern megapolis, with developed infrastructure and profitable place for foreign investment. As with every city, Almaty has its own atmosphere [more polluted in the winter, clean air in summer] In order to know about Almaty more, you definitely have to visit it. 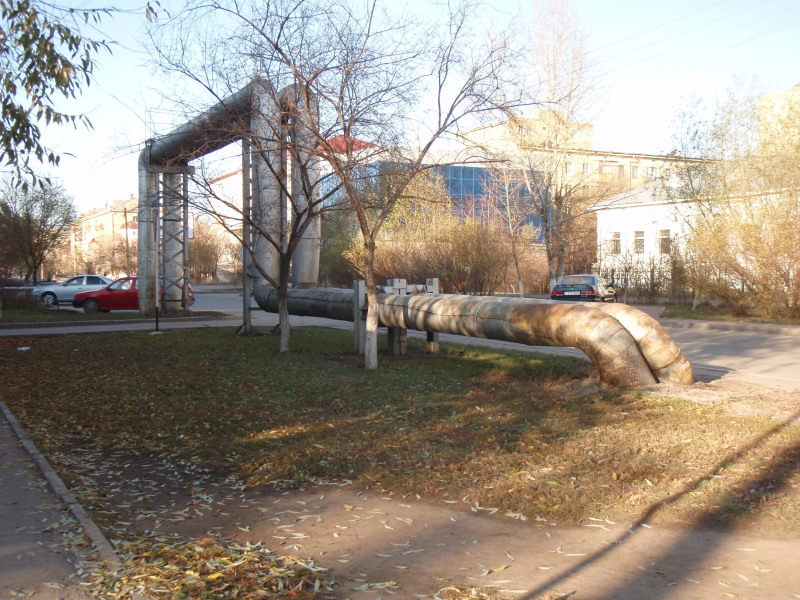 Azamat S. – Almaty is a beautiful city with mountains and with great history. There was found a “Golden Man” which is the pride of our nation. The most population of this city are young people (students) and this makes life here always active. In winter we go to Medeu (skating place) and this is located in the highest place among all skating stadiums. Sara O. – Almaty is the city of seduction, people are so friendly and kind. The weather is warm. There is wonderful nature in the outside of the city. You can meet people from different regions. Only in Almaty can you see the interesting composition of city buildings and mountains. For example, from my window everyday I see the view of the huge mountains among the buildings. 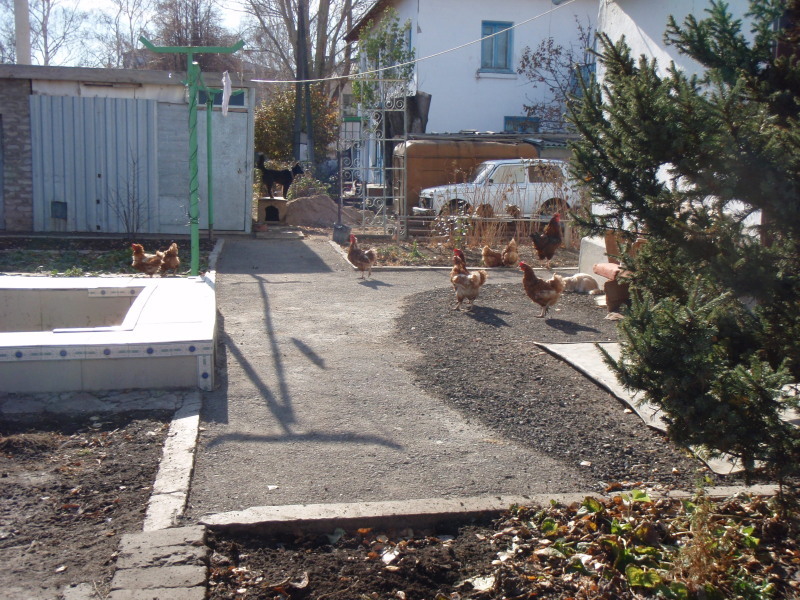 Nurlybek – The nature of the city is very interesting because in one step you can be in the hills of mountains but another step at the Freedom step. The most interesting season is winter. Because the weather is not so cold, you can go to ski in the mountains, which is called Medeo and have fun for a cheap price. Also, in the city, you will never have a problem with restaurants, so you can eat different types of food in a different kitchen. On the other hand, the nightlife is a mixture. Especially on Friday or Saturday nights because there is so much people that like to go outside. So you should think to go before 8:00 p.m. so you will have a chance to find space in the bars and restaurants. Zhanna B. – Almaty was the first capital of Kazakhstan but nowadays people call Almaty the second capital. There are many places to visit, for example Medeo and Chimbulak or historical places like Tamgaly where you can find petroglifs of our ancestors who lived many thousands of years ago. Aida D. – Almaty is a “pearl of Central Asia” and it’s a South Capital city of Kazakhstan. I would strongly suggest to visit tourist landscape called Medeo. It’s the biggest ski stadium in CIS and it has amazing beautiful nature. Moreover, I would suggest to visit historical place called Tamgali Tas. It was taken under protection of UNESCO. There are petroglifs on the rocks which were drawn in the Bronze Age and even earlier. Also, we have very beautiful National Theater of Opera and Ballet. There you can see different performance of Kazakh culture. Natalya D. – Almaty is located at the bottom of the mountains so to get to the mountains it takes about 10-15 minutes. An interesting place to visit is Tuykeu glacier, it is about 3,500 meters above the sea level. At the Chimbulak resort is always a taxi which can get you there in 30 minutes. Aigerim Y. – What makes Almaty worth living? Almaty is a unique city in Central Asia. It would appear that I say this only because I was born there, but that’s not the truth. It’s a city with mix of nations and cultures. There only you can see modern buildings and somewhere in the next street old constructions built in the 1960s. 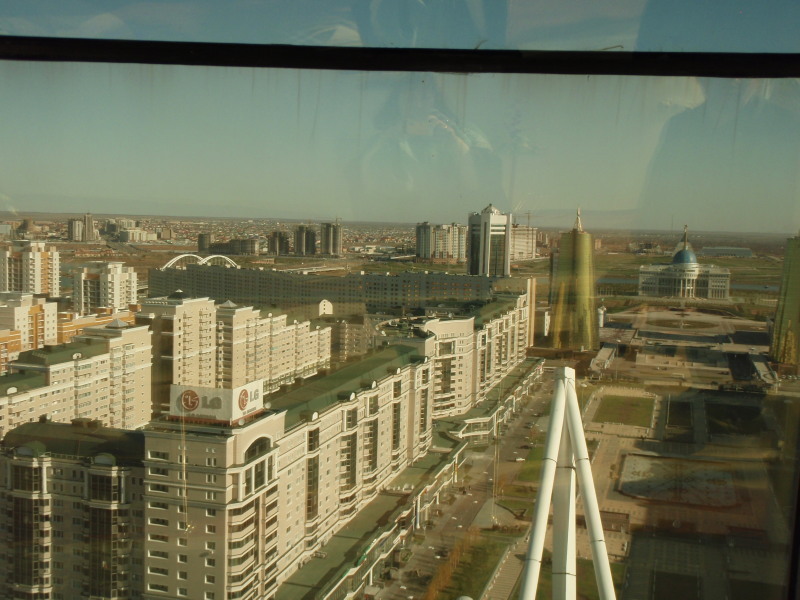 Although Astana is a capital city, Almaty is a financial city. The nightlife is as active as in other western cities. Cosmopolitan is also a place for tourists. You can visit Medeo, Chimbulak and Canyon and lots of other sightseeing places in the suburbs. I know this is an odd request, but it would be helpful if you could share with British readers why Almaty is a city to visit. I am a British journalist writing about some of the great undiscovered cities of the world for a British newspaper. So, what makes the city worth visiting – it could be about the cuisine, the atmosphere, the architecture, the nightlife, arts & culture etc. Diana D. – Almaty is the South capital of Kazakhstan. This city is situated in the “hollow,” surrounded by beautiful, amazing mountains. Nature here is so beautiful, especially in the mountains. “KokTobe” is a special place where you can see the whole city from a bird’s flight high. Also, in the mountains there is Chimbulak, where you can go skiing. But the most interesting place to visit I think is the only mountain skating rink [Medeo]. Here there are about 2 million people, and mostly Almaty is a city of students. Because of that, there are a lot of places for teenagers’ entertainment. Also, Almaty is a cultural centre of Kazakhstan, here there is National Museum, from it you can see and know the whole history of our country. Laura J. – Almaty is an amazing city with fascinating nature, buildings, culture. Almaty can be translated as “Grandfather of Apples” so the apples are very tasty here! But what is more, Almaty’s nature is tremendous: from the huge mountains to amazing lakes (Kulsai, Koyandy, you can find photos on Internet). Also, Almaty has its own culture. Our summer evenings are so sweet (yes, they really are) I mean the air smells so sweet. So you should visit this city to fall in love with Almaty. Maiya – what I like about Almaty is the atmosphere. 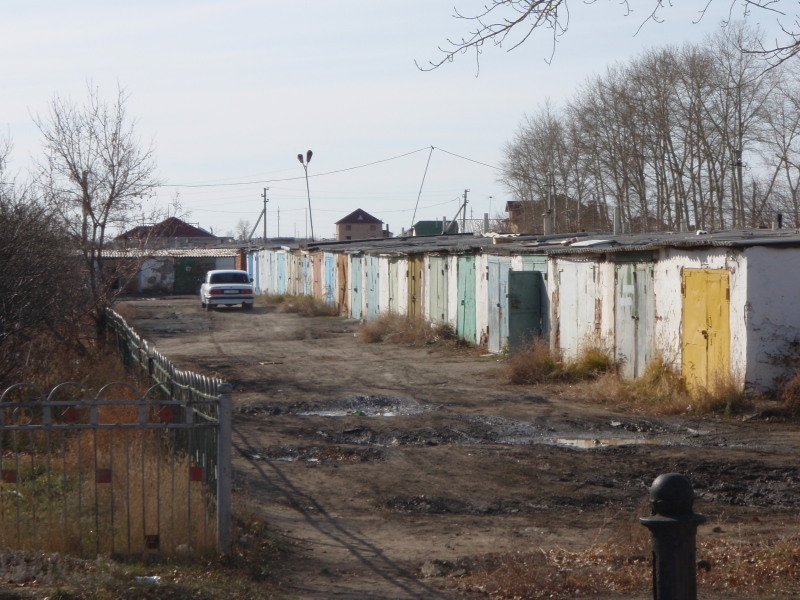 It’s the biggest city in Kazakhstan – a country of many contradictions. Here you can see the parts of nomadic culture along with modern technologies. Also, what makes Almaty beautiful is the mountains. Almaty residents whenever they go to another city miss the mountains the most. And, of course, there are many places to visit in the city and around it. I am sure that foreigners will find Almaty very charming and interesting. Zhamilya K. – Almaty is a really beautiful place in Kazakhstan. The nature of this great city is fantastic and interesting. But in my opinion, Kazakhstan was not so popular until the film “Barot.” Some people think that it’s bad for reputation of Kazakhstan, but I think it helped to visit Kazakhstan more. People from other countries are coming here to see if its true. So now we have a lot of tourists who are coming to visit Almaty. Gaukhar – I love this city and I think that foreigners should come here. It’s not a small town and it’s not so big as a megapolis, that’s why the streets are not crowded [hmm…there IS traffic gridlock during rush hours!]. The nature is beautiful, in half an hour you can go to the mountains like Almarasan, Shimbaulak, Koktube. Also, there are a lot of trees along the streets so Almaty looks like a big, green garden. Architecture differs from old Soviet time houses to new, modern buildings. Akbota K. – Almaty is the largest city in Kazakhstan, it was the capital from 1929 to 1997. There are a lot of places that you can visit here. The world known is “Medeo” and “Chimbulak.” In Soviet period a lot of world records were done in Medeo. Also, I want to say that this city is the cultural capital of the republic because we have different theaters, like Opera House, TYUZ, Anezov’s drama theater, German theater and others; museums, like Kaz State museum, Museum of Folk Instruments, Medical museum and others, lots of cinemas, parks and gardens. Almaty is also known as Apple City, because here grow apple trees (Aport, Stolovka, Simchaka…) Here the largest number of universities, colleges, schools and that’s why here come lot of teenagers from other cities. Alexandra – This city is full of Kazakh culture, traditions, also important point that Almaty is the ex-capital of Kazakhstan. And it is the place where history was and is going till nowadays. I love Almaty because of the mountains and it is very enjoyable to hike every weekend with friends and discover new things of Kazakh’s beauty in Almaty. Arai – Kazakhstan is very beautiful and hospitable country. Native people are always glad to welcome any foreigner in Kazakh land. Maybe our country is still developing its areas of economy, finance and education, but one thing which is remaining constant is the Kazakh spirit which foreigners recognize immediately. All foreign families from Germany, England, America use to say that Kazakhstan is the only one place where people like to be a guest and to live. Non-native people find friends among Kazakhs very quickly. People of Kazakhstan got used to the international status of our country and they accept the tourists with great pleasure. And our president does everything for non-native people in order to provide them with appropriate conditions, like international standards. The above are some of my better students’ examples of how they approached the essay assignment with their thesis statement. They had no way of knowing what the exact question was to be except that it would have something to do with the Aral Sea’s destruction. I am proud of many of my students for accomplishing this assignment. Now we will forge ahead with our Final problem and solution essay. May the Force be with us as we have about five more weeks to solve the problems of such an assignment. I want my students to ENJOY this process!!! This academic writing experience we expect of our students is as subject to crash and burn as any potential romantic relationship on our university campus. However, in this case at our university it is inexperienced hayseed cowboy who MEETS sophisticated debutante. The following is from my own long held convictions that topic sentences, who are first cousins to controlling ideas and supporting ideas, should remain in remedial courses for beginner students. Let me introduce Mr. Controlling Idea, he has many virtues. His main job is to catch the reader’s imagination in the topic sentence with his singular purpose to entice them to read on. He wears a cowboy hat with complimentary boots, everything is in neutral colored rawhide. He wears a red kerchief around his neck, he has that “devil may care” look about him because he is invincible and young. However, if there are too many guys like him, too many Controlling Ideas, the paragraph falls apart. He may have two or three brothers, depending on the paragraph formally named as Mr. Supporting Idea I and II. They help the reader to understand there is logical support or evidence for the control he maintains in his set paragraph or the corral. He rides on Transition Markers, good thoroughbred horses, to alert his reader which direction he is going. These horses names are called: Moreover, Nevertheless, In Fact, For Example, First and In Conclusion, just for example. Mr. Controlling Idea rarely backs up his horse but likes to go full speed ahead while letting his reading audience know there may be a gallop or a simple trot in the next paragraph or two. One nemesis of Mr. Controlling Idea are the occasional encounters with Mr. Logical Fallacy. Actually, he and his cronies lurk everywhere and have no regard for the words they are surrounded by. Legions of Logical Fallacies abound and they care nothing for their dear readers, their sole mission is to lead astray. Cleverly concealed lies are their content but Mr. Controlling Idea and his brothers are able to discern who these negative forces of the essay paper are. Logical fallacy is NO match for a truthful controlling idea who maintains law and order. That’s where Ms. In-text Citation makes her appearance. Even though she actually is a city slicker and can be quite provocative at times, she has some attraction for the man of the rodeo, Mr. Controlling Idea. Her expensive clothes are not practical and can show spots on them very easily. If she is of the APA formatting style, Ms. Citation doesn’t really want anyone to know whether she is a female or not, she prefers last name only. However, she DOES want everyone to know that she is wearing the latest fashion by having the most up-to-date publication. When she looks at the tired out Chicago style, she appears uppity. Also, she sees that footnotes of the Turabian devotees are so untidy. Ms. Citation doesn’t even try on MLA clothes, there is something so twentieth century about them. No, Ms. Citation comes from very highbrow types, just look at her parents in the “Works Cited” page. Actually, her grandparents are called “Working Bibliography” who were from the farm and never take on their granddaughter’s airs, they work quietly minding their own business. The only way her Grandparents got to the top was a LOT of spade work, meaning they knew how to use Keywords to get their source material from the electronic research databases. Yes, Keywords are good family friends with the Bibliographies and Citation families. What Ms. In-text Citation doesn’t appreciate is that to make it into the essay in the first place, she has to be wanted by Mr. Controlling Idea. His Supporting Idea brothers have to want her in the family of their sentence as well. So, what do we have in our university’s classroom with young, impressionable Kazakh students? We have those who do not know the basics of how to write in English, they’ve been grilled in high school on how to use correct GRAMMAR. This haranguing was probably done in steady Russian. These beleagured students do not grasp the importance of what topic sentences with controlling and supporting ideas are all about. Unfortunately, these students are expected, according to the syllabus for their one and only writing and reading course, to know how to use the sophisticated reference work of APA formatting style to help buttress their arguments in any given essay. We only teach them two in the space of 16 weeks, discursive and problem and solution essays. Some of our students are capable of this budding relationship between the simple mechanics of essay writing and using in-text citations. A happy marriage happens with good results if they have the grounding in Intensive or Provisional classes and in our Academic Reading and Writing courses are to fine-tune the referencing and researching fun. Unfortunately, the two are not meeting each other, poor Mr. Controlling Idea and Ms. In-text Citation. This relationship takes time, writing takes time, writing requires re-writes. Alas, I didn’t even bring up the King of the Rodeo and that is His Honorable Thesis Statement. Stayed tuned for Part II. Our Academic Reading and Writing teachers had a very good rubric to score each others’ students writing by during “Reading Week” what should be REALLY considered our mid-semester break. “Break,” meaning a rest from the usual grind. I suppose everyone has their own definition of what a “break” constitutes. It would seem that something fell apart in the implementation of calibrating our scores when we put our students’ discursive essays all together to divide out amongst the nine of us teachers. Turns out there were five of us for Stage One of our experiment of politely working together. Keep in mind that we are all professionals with busy lives of our own, therefore, we did NOT want to spend hours quibbling over the finer points of how to grade our students on three different types of questions. Seems that my students had the more complex question to answer about the destruction of the Aral Sea, the others were straightforward, something like: “Discuss if the Aral Sea should be revived or let it die?” or “What is more likely, was the Aral Sea destroyed by man-made factors or natural causes?” In some cases, upon getting the results back for my students’ essays, I had high scorers give their feedback to my students mid-term exams. I know the student, I would have graded lower. Unfortunately, other scorers just did the easy way out and did the copy-cat rating of the first rater’s score. We were ideally supposed to have two raters score the same essay twice. I rated over 50 essays when all was said and done. I only have about 30 students. After nine weeks of working with my students, I know their abilities and strengths. I also know the ones who don’t show up for class and are lazy. Most of those have already been withdrawn from my class or curtsied out on their own. Those who have remained on my class roll have faithfully done their reading and writing homework assignments which amounts to 30% of their grade plus three vocabulary quizzes on the textbook units. The mid-term exam has 20% of the weight, according to our syllabus. Here is the start of the inequities I observed in this erratic scoring. In one case, a student of mine who was averaging 23% in his assignments and quizzes got 75% for his mid-term essay grade. He is retaking the course, so perhaps he knows how to take tests and doesn’t want to be bothered with going to my class. However, two other girls, who are very consistent, hard workers with an average of 83% and 88%, were rated the same 55% for their mid-term exam. Another student who has the abilities but doesn’t show it in his scores got 90% on his midterm but is averaging 60% in my class! What gives!!! I am VERY discouraged with our cross-checking amongst my teaching colleagues of mid-term essays between raters from very divergent teaching backgrounds. I am used to having weekly meetings when I taught ITAs at the University of Minnesota and we concertedly worked together to be on the same page. We necessarily had to calibrate our scores all the time. It is quite depressing that I’ll have to ask a third rater to analyze the work my students did. As it stands, I can NOT give back the essays or their midterm grades tomorrow in class, it will have to wait until Thursday. That goes for about half of my students. I have been watching my students’ progress over these past nine weeks, some have made major improvements. I am very proud of most of them. It does not speak well for me as their teacher to have so many with failing midterm grades. So the question remains, am I in the way of my students’ learning? I certainly hope not. A 50 minute sampling hardly shows the abilities of students’ hard work in writing over the course of nine weeks. Over the course of the semester, the ONE and ONLY semester these students will get in academic writing, it takes writes and re-writes to do this kind of skill justice. Of course, I enjoy those eager students who really, really want to improve their writing too. I am not interested in haphazard students. Also, I’m not concerned about grammar but content and passion to get the main point across. That is what I try to inculcate into my students. (sigh) Well, we WILL prevail with our final and second essay of the semester called a Problem and Solution essay. Seems we have a classic problem with how we teach this writing course. I am open to suggestions on how to solve the problem of getting our students to write plagiarism-free essays that are interesting for the teachers to read and grade. 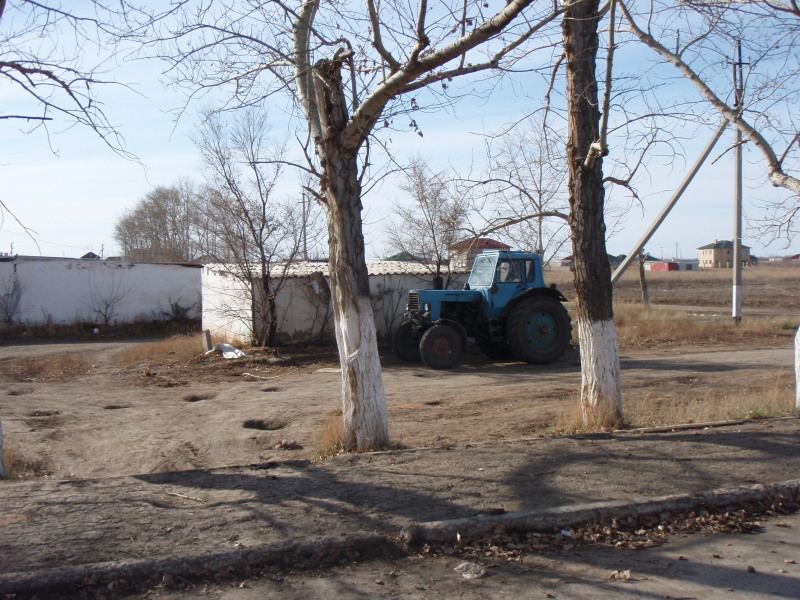 Being a countrygirl, it was good for me to get away from the glitz of the city of Astana and see what a Peace Corps volunteer might experience in the surrounding rural area. 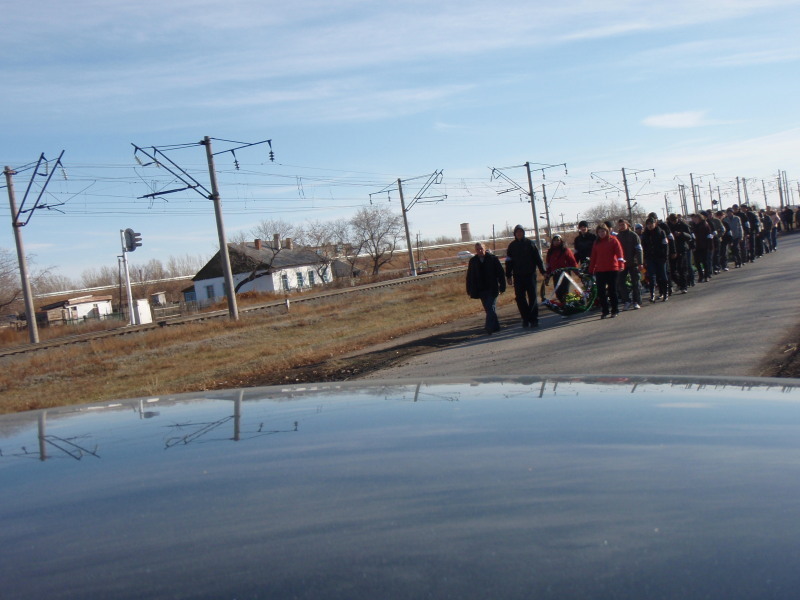 We saw worn out gardens, perky chickens, yappy dogs, laconic geese, a sad funeral procession, gravesites, traintracks, wide expressway, Soviet tractors, pipes ABOVE ground carrying heat and much more. The overall landscape looked like Kansas or North Dakota. 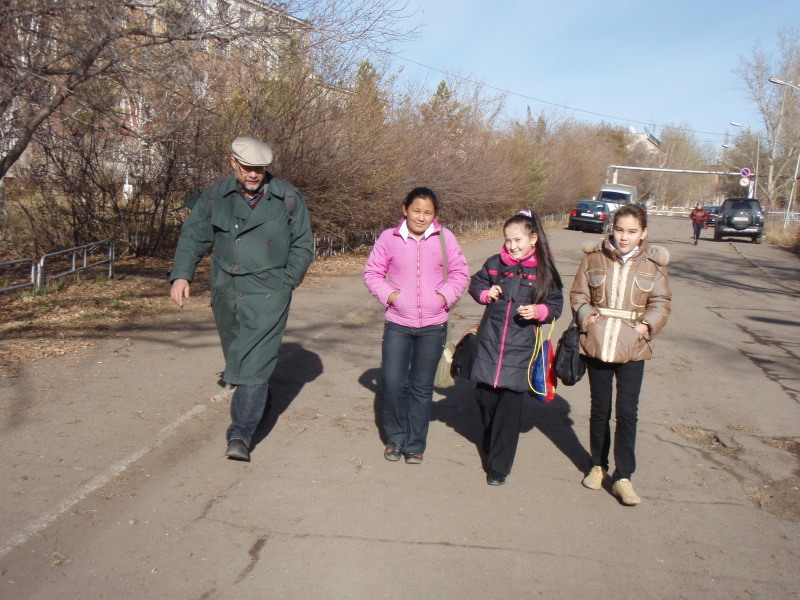 Funny thing happened when three little girls met up with us in Akmol, a village just outside of Astana, where the ALZHIR museum is. They asked if we knew Angie. Apparently, since we were American, to their grade school minds they were certain we would know the one and only American they knew. If you are among my reading audience, Angie, your dear grade school pupils miss you in Akmol!!! 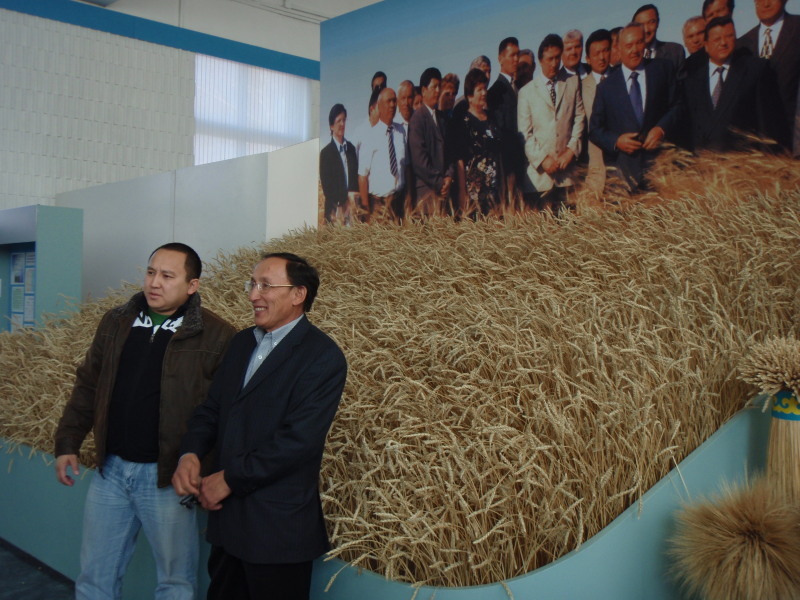 The mosiac is from the Astana Vokzal (train station), and the oil painting portrait of Nicolai Ivanovich Vavilov is from “Dry Lands Grain Farming Institute” named after agriculturalist Baraev, north east of Astana. We went by car with Murat, son of Kanat, a friend of Ken’s along the newly opened expressway. 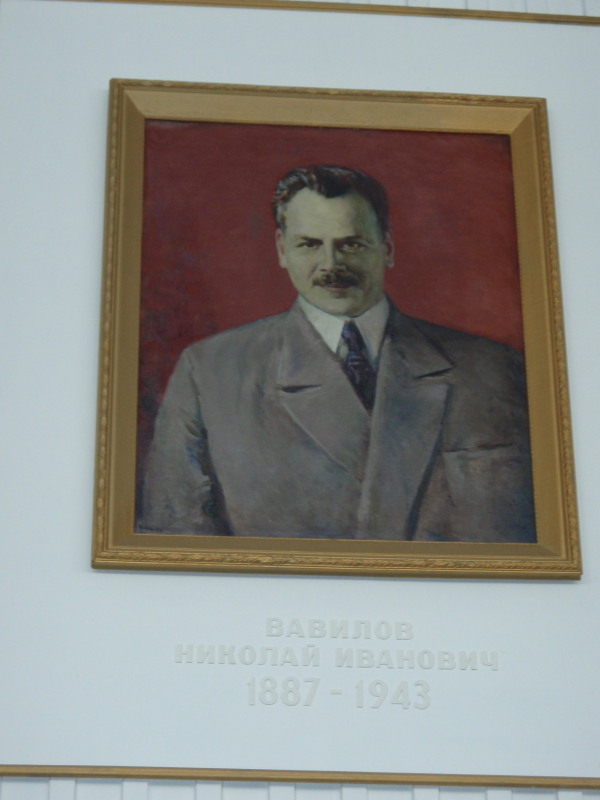 Once we arrived to this place where it was once considered THEE place for the most prestigious of agriculturalists in the former Soviet Union, we toured the institute’s museum. About a month ago, I read to my listening students the sad story about Vavilov from Christopher Robbin’s book “Apples are from Kazakhstan.” Vavilov was an important man due to his work and was highly promoted by the USSR but who later suffered much at the hands of Stalin when he contradicted his collectivization policies. Much sadness observed in the ALZHIR area but we met these friendly, little girls who wanted to practice their English in the small town of Akmol. 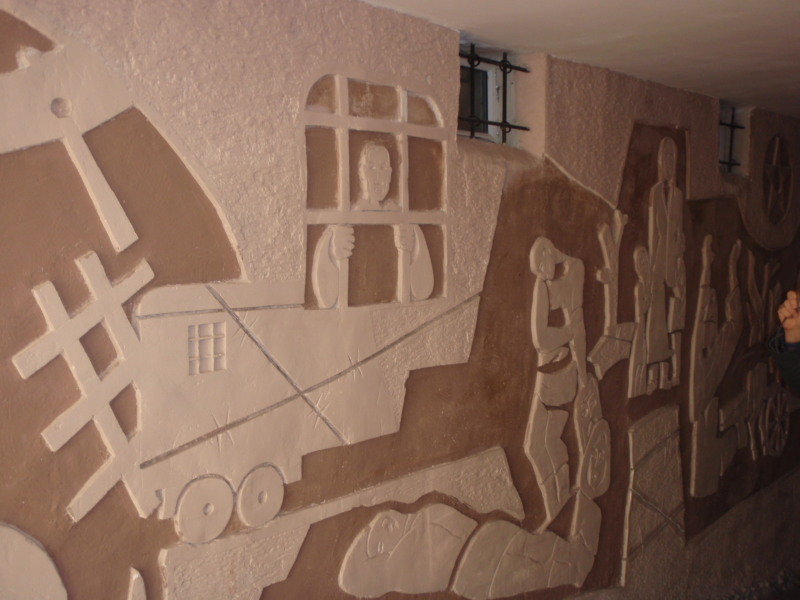 Are they aware of the sad past as portrayed by the mural at the newly built ALZHIR museum? Maybe they have distant relatives who came to be punished at ALZHIR during the 1930s and 1940s purges. 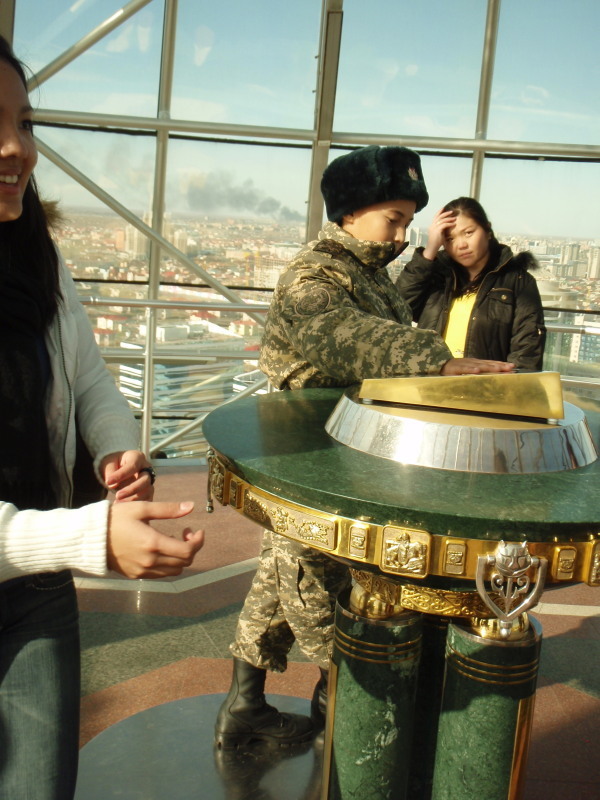 The final photo is one young man making a wish on top of the Baiterek tower overlooking Astana. Maybe he is hoping for peace while outfitted in his military uniform.